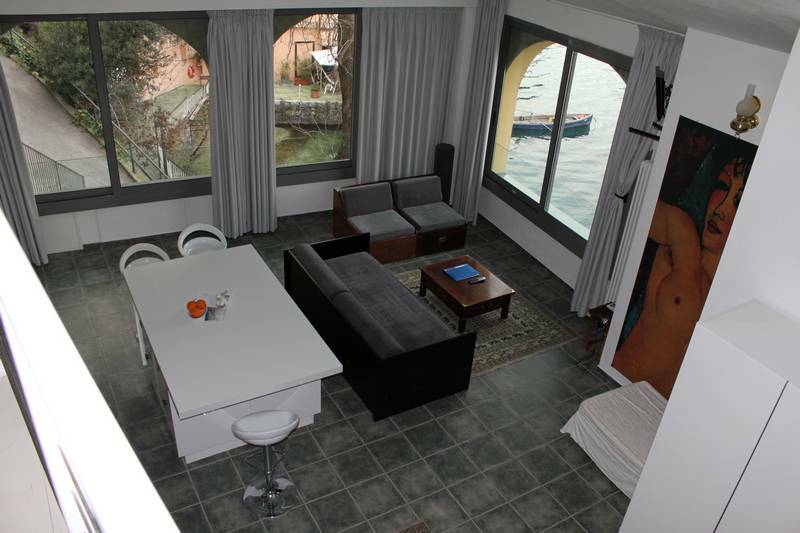 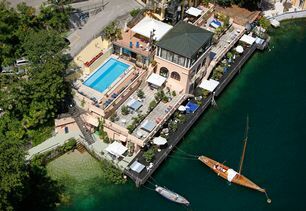 The Residence Vecchio Porto - Excelsior is located directly on Lake Garda in a splendid valley. 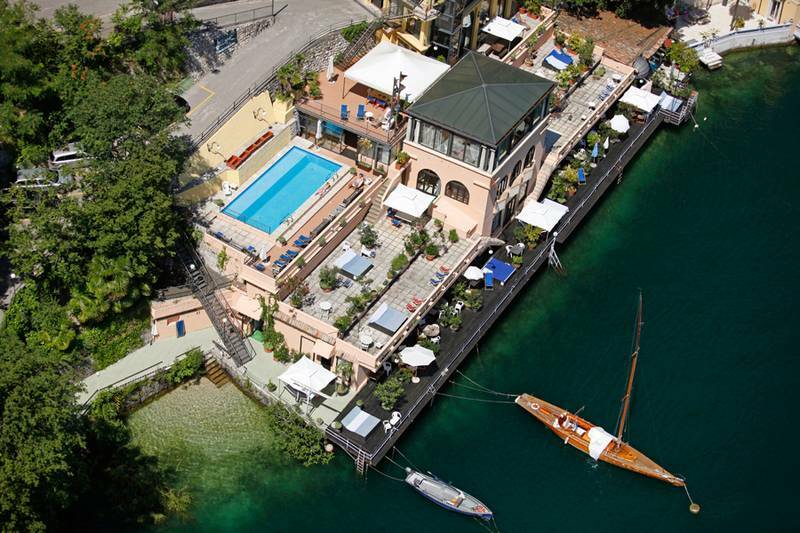 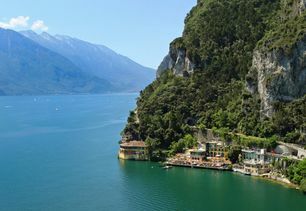 The historical building of 1898, renovated in 2001, is just 600 meters from the historic town center of Riva del Garda, which can also be reached walking along the lakeside. 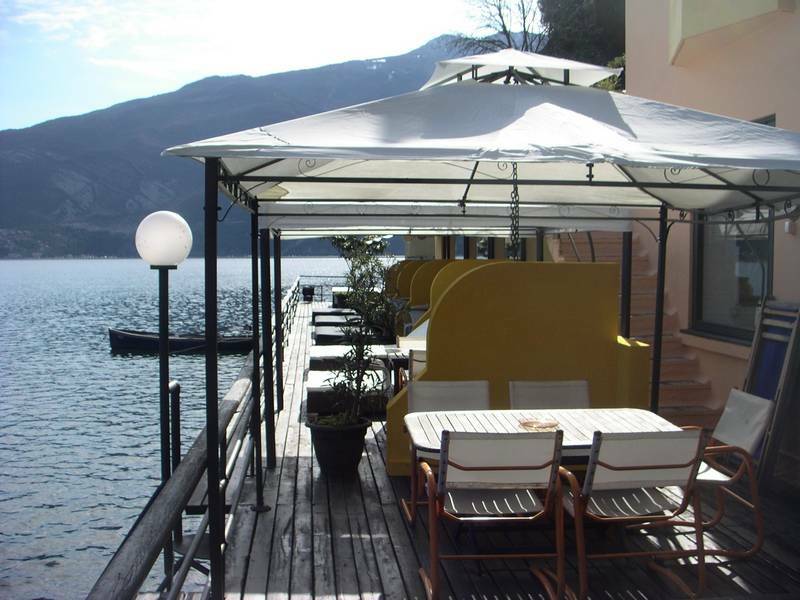 The residence has an outdoor swimming pool, direct access to the lake with a small beach present (when the lake waters are not too high), a whirlpool (fee), and a sun deck. 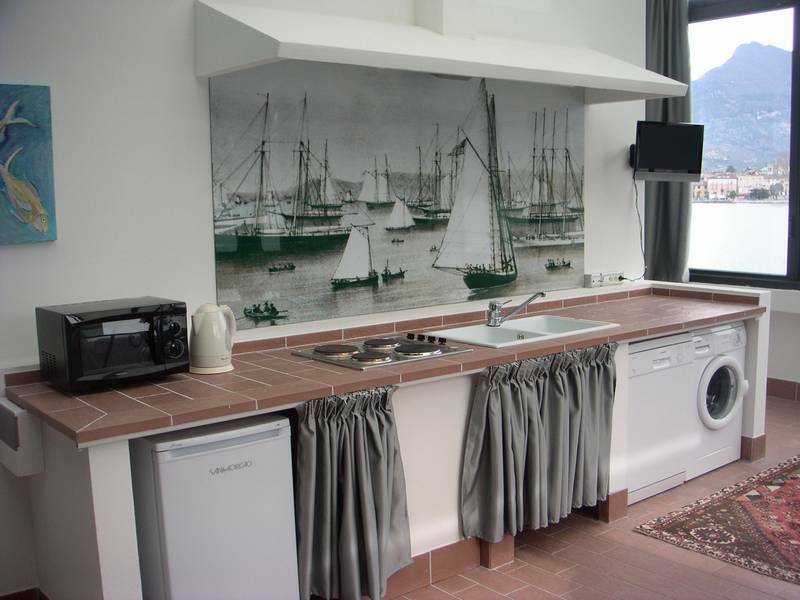 The apartments of Residence Porto Vecchio all face the lake. 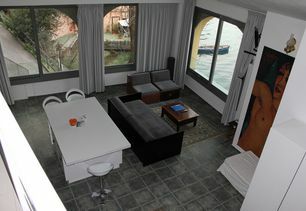 The Mini, about 22 sq. 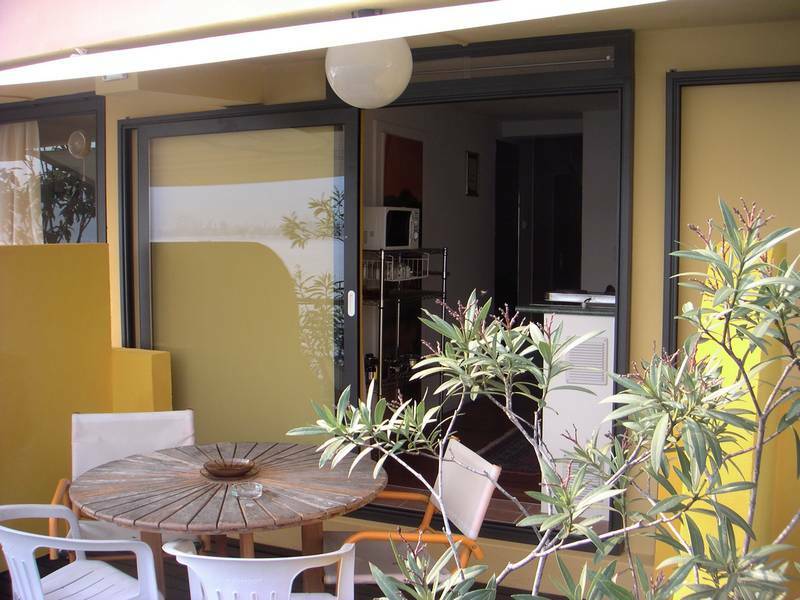 meters, are composed of a double bedroom, bathroom with a shower, and a fully equipped kitchenette (fridge, electric stovetops and tableware). 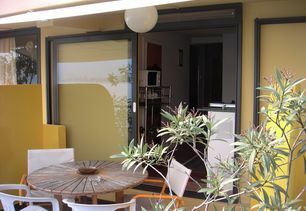 They offer space for 2 people or 2+1 and can be expanded by a connecting door for 4-6 people. 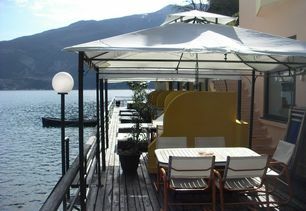 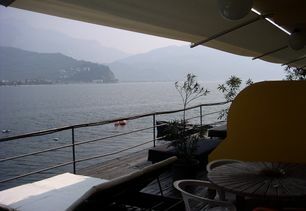 In front of the apartment there is an equipped terrace-pier. 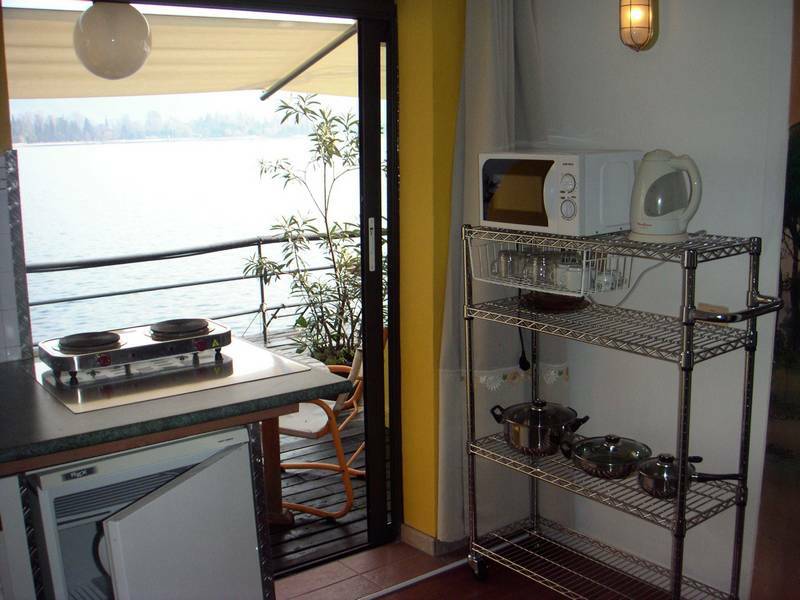 The following amenities are included: bed linen, towels, hair dryer, telephone, satellite TV, refrigerator, and a ceiling fan or regular fan. 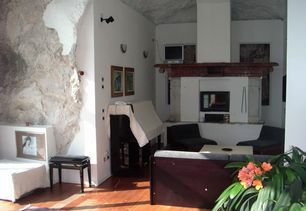 The suites, ranging in size from 75 to 180 sq. 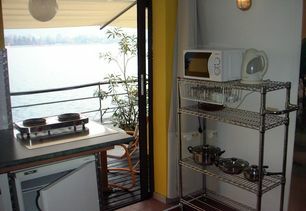 meters, can accommodate from 2 to 5 people; recently renovated, tastefully furnished and are all different from one another. They consist of a living area with armchairs, sofa, table and chairs, satellite TV, and a fully equipped kitchen with a dishwasher, microwave, electric stovetops and a refrigerator. 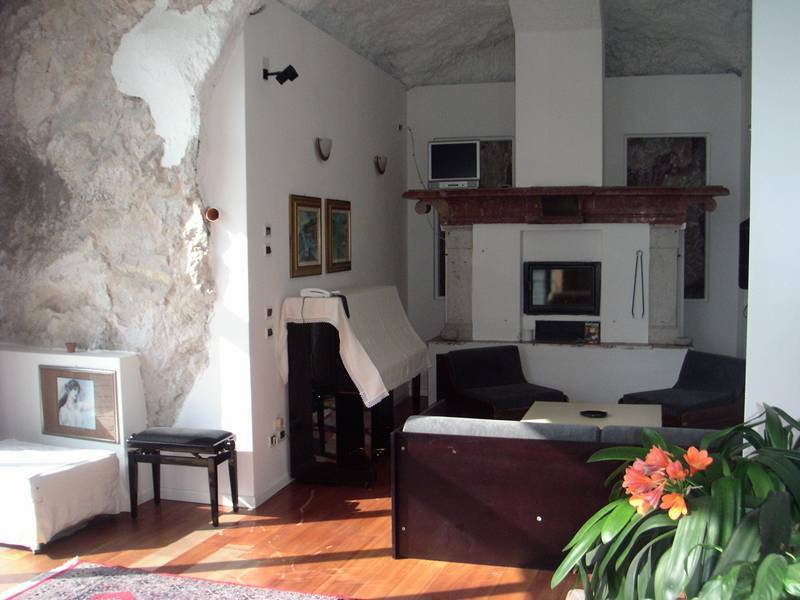 They have a bathroom with a bathtub/shower or a shower only, and one or two bedrooms with a double bed or two single beds. 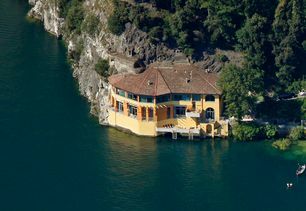 They have a private terrace overlooking the lake with the possibility of a barbecue grill, and a wood table with benches, chairs, deckchairs and a gazebo. 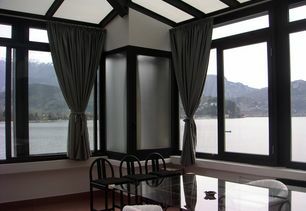 Several of the suites are located on 2 levels, with 2 or 3 balconies. 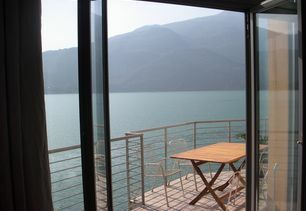 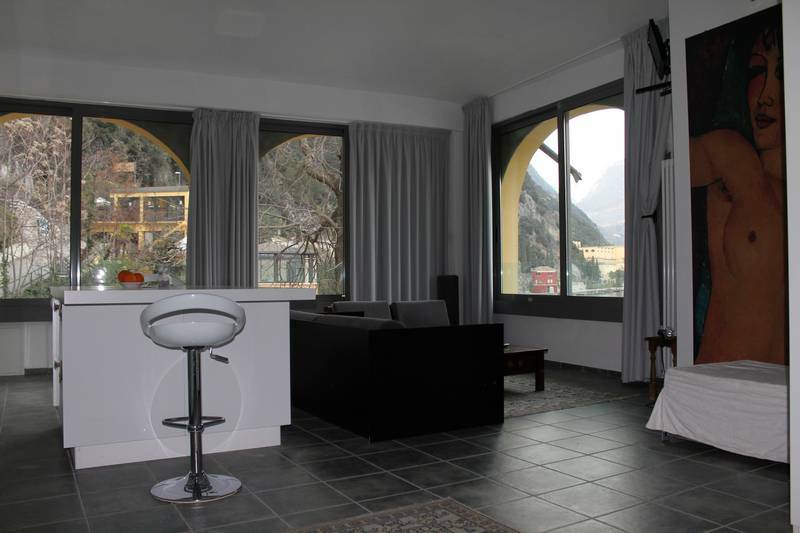 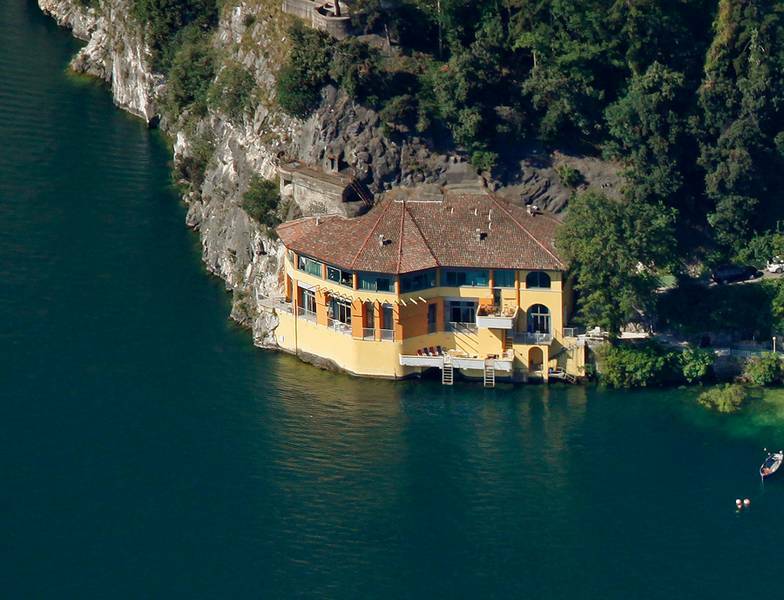 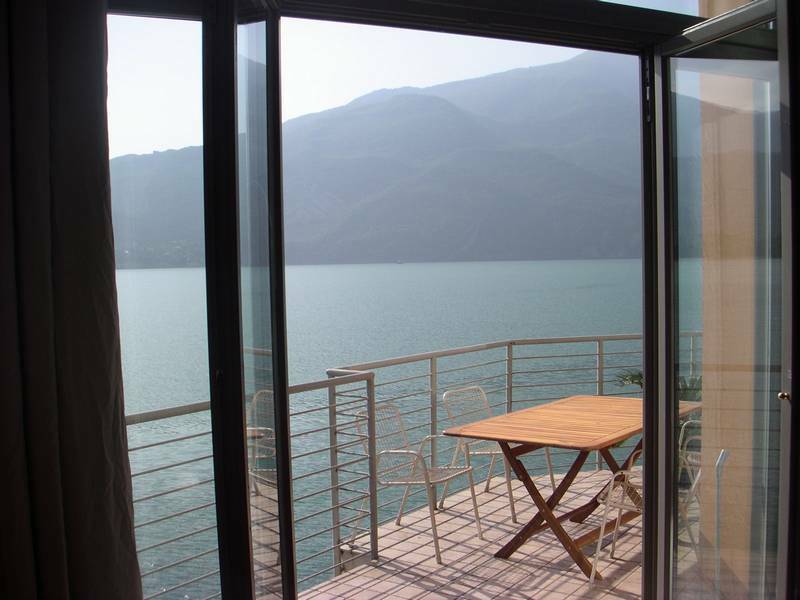 Suite 45 is unique in its kind for it has a 180 degree view, all in glass, of the lake and Riva del Garda. 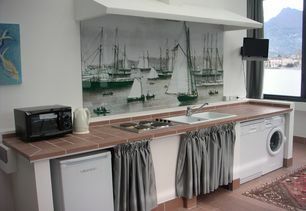 For our guests there is indoor and outdoor parking available, mountain bike/surf storage, mooring buoys, washing machine and dryer services, Wi-Fi internet (fee), elevator to all floors, and a small bar-coffee, open during reception hours. 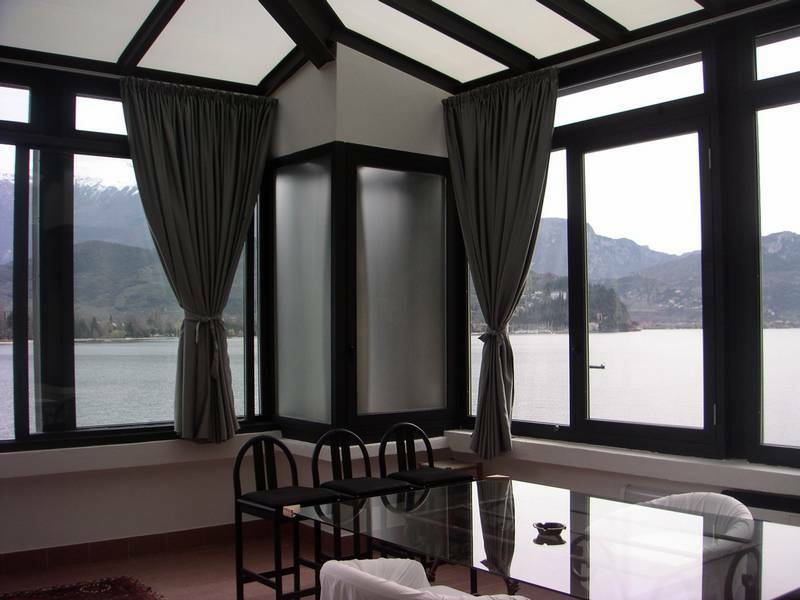 You can book a reservation at Residence in a simple and secure way. 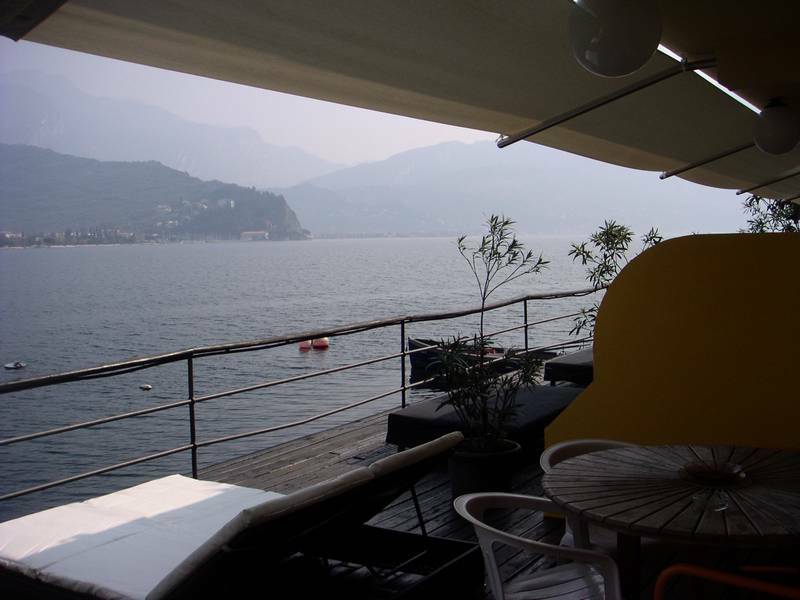 You will have direct contact with Residence Vecchio Porto Excelsior from this site: You can send in your requests and get personalized service.